Feintool got its start in Switzerland producing fineblanking machinery, and today operates globally. Its Cincinnati facility handles prototyping, tool engineering and tool making, often supporting the electronics and automotive industries. Fineblanking is a type of precision metal stamping that gives certain characteristics such as flatness, full sheared edges and small-hole piercing to a metal part that is nearly impossible to achieve by conventional methods. It typically reduces the need for secondary operations and is economical in producing large quantities of high-precision parts. The punches that shape the parts in a fineblanking operation are made of hardened metals to handle the pressure and repeated motions for which they are used. 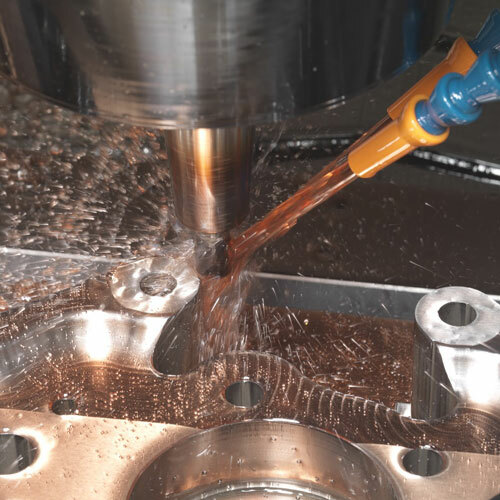 It is often challenging to machine these metals efficiently and with high accuracy. Producing these parts can be very time consuming. Feintool’s Japanese facility had successfully used a Makino V22 vertical machining center. That experience, combined with a hard-milling presentation at IMTS, led Feintool Cincinnati to purchase a Makino V33i vertical machining center. The new Makino equipment has reduced the time it takes to make parts from days on its EDM machines to hours on the VMC. The V33i machine is used more than any other equipment at Feintool. It operates around the clock, unattended, and the company plans to transfer most of its full jig-grinding punches to the V33i.